Hello! My name is Whitney Rich and I am going to be a junior this fall at Whitman. I am a Spanish major with Politics and Geology minors. 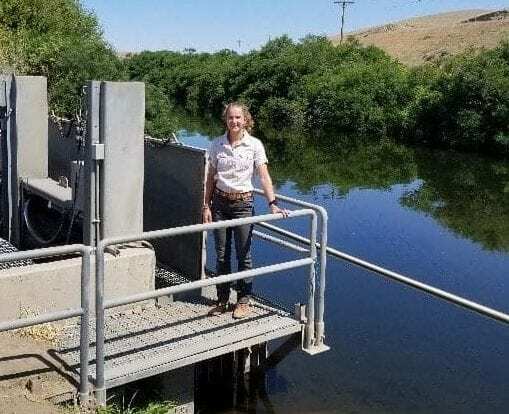 This summer I am an intern at the Walla Walla Watershed Management Partnership here in beautiful Walla Walla, Washington. 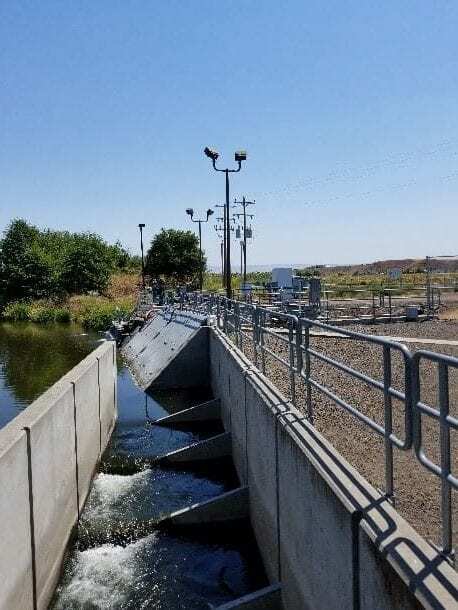 The Partnership has special authorization from the Washington State Legislature to act as a local water management pilot program for 10 years (it was formed in 2009). This allows the Partnership to work with water rights holders to create flexibility in their water management through a variety of programs and services all focused on the end goal of getting more water in the rivers to increase the quantity and quality of fish habitat. An example of a recent Local Water Plan was along the main stem Walla Walla just before McNary pool. At this location, the landowner was able to switch his point-of-use (POU) from upstream to a location further downstream with the conditions that he would work with our local Soil and Water Conservation District to use CREP which is the Conservation Reserve Enhancement Program that creates riparian areas within a certain distance of the river through a voluntary land retirement administered by the USDA. The CREP along the riverbank will add shade and habitat to the river which will serve beneficial to the many species of fish living in the Walla Walla River. In other Basins, this process of changing a POU is handled by Ecology and can be lengthy and less beneficial to instream flow and fish habitat. Our Basin has taken the necessary advances to work towards cooperation in order to ensure beneficial outcomes for all those involved. As the summer Intern, I have been working on a campaign to increase local participation in the Partnership. This includes designing and distributing posters, holding informational sessions and open houses, and calling water rights holders to discuss Partnership services that would be beneficial to them. I have really enjoyed my time with the Partnership this summer. In addition to learning a lot about Washington Water policy, I have gotten to know the Walla Walla Basin and its inhabitants much better, making connections with many of the local basin steward organizations like Kooskooskie Commons, the Confederated Tribes of the Umatilla Indian Reservation, and the Snake River Salmon Recovery Board. I hope to use the valuable information and lessons that I have learned from WWWMP in the future when working in other basins and river systems to manage, conserve, and promote cooperation among those that call the area home.